Vitamin D helps regulate the amount of calcium and phosphate in the body. These nutrients are needed to keep bones, teeth and muscles healthy.A lack of vitamin D can lead to bone deformities such as rickets in children, and bone pain caused by a condition called osteomalacia in adults. From about late March/early April to the end of September, most people should be able to get all the vitamin D they need from sunlight. The body creates vitamin D from direct sunlight on the skin when outdoors. But between October and early March we don’t get enough vitamin D from sunlight. Read more about vitamin D and sunlight. In the UK, cows’ milk is generally not a good source of vitamin D because it isn’t fortified, as it is in some other countries. Adults need 10mcg of vitamin D a day. During the autumn and winter, you need to get vitamin D from your diet because the sun isn’t strong enough for the body to make vitamin D.
But since it’s difficult for people to get enough vitamin D from food alone, everyone (including pregnant and breastfeeding women) should consider taking a daily supplement containing 10mcg of vitamin D during the autumn and winter. Some people won’t get enough vitamin D from sunlight because they have very little or no sunshine exposure. People with dark skin from African, African-Caribbean and south Asian backgrounds may also not get enough vitamin D from sunlight. They should consider taking a daily supplement containing 10mcg of vitamin D throughout the year. If you choose to take vitamin D supplements, 10mcg a day will be enough for most people. Don’t take more than 100mcg of vitamin D a day as it could be harmful. This applies to adults. If your doctor has recommended you take a different amount of vitamin D, you should follow their advice. 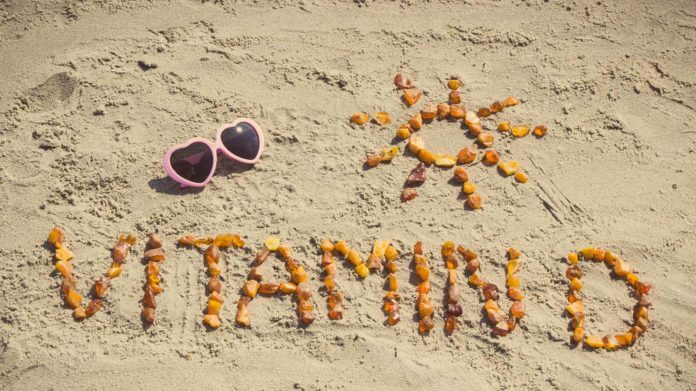 Your body doesn’t make too much vitamin D from sun exposure, but always remember to cover up or protect your skin if you’re out in the sun for long periods to reduce the risk of skin damage and skin cancer.